Donetta has served in the executive and legislative branches of PA government. From 1984-1995 she provided service to the PA Senate as Comptroller, Acting Chief Clerk and Director of Computer Services. 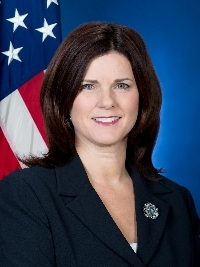 In the Department of General Services from 1995-1998 she was executive assistant to the Secretary creating the PA Coalition of Small Business Advocates. In addition, she directed two statewide programs dedicated to non-discrimination in state contracting. Following her career in public service, she formed and directed a small business which provided strategic consulting services to clients in various vertical markets. Donetta has been awarded the PA 50 Best Women in Business and Shippensburg University Outstanding Alumnus Awards. She is a past president of the Central PA Leukemia Lymphoma Society and a former member of their Advocacy Committee, a founding member of the South Central PA Counter-terrorism Task Force subcommittee on business and industry, a founding member and past president of the Central PA Infragard Chapter. Donetta is also a former member of the Shippensburg University Alumni board and the Casper Glattfelder Association of America board. She and her husband have four grown children and three granddaughters. The Chief Clerk is the chief financial officer of the Senate and is responsible for all business functions of the Senate. The Chief Clerk is one of two officers of the Senate, elected every two years by the 50 Members of the Senate at the beginning of the two year legislative session. The Chief Clerk oversees a staff of approximately 50 employees. In addition, the Chief Clerk acts as the Open Records Officer under the Pennsylvania Right-to-Know law (RTK) and as Secretary of the Senate Committee on Management Operations. The Chief Clerk provides advice and assistance on questions relating to the Financial Operating Rules of the Senate and the policies of the Committee on Management Operations.